Coronary catheterization by a distal radial approach at the site of the anatomical snuffbox has recently been reported to be both safe and useful. No data are available on the diameter of the distal radial artery (DRA) in Japan, and it is unclear whether the DRA is large enough to withstand the insertion of a conventional sheath by a traditional radial approach. We enrolled 142 patients who underwent coronary catheterization and evaluated the vessel diameter of the DRA using ultrasound. The vessel diameter of the DRA in the anatomical snuffbox (2.6 ± 0.5 mm) was significantly smaller than that of the proximal radial artery (PRA) at the conventional puncture site (3.1 ± 0.4 mm). The difference in vessel diameter between the DRA and PRA was 0.5 ± 0.4 mm, and the DRA/PRA ratio was 0.8 ± 0.1. Although the vessel diameter of the DRA was positively correlated with that of the PRA (r = 0.66, p < 0.0001), in some cases the DRA was extremely small compared to the PRA. When the vessel diameter of the DRA is smaller than the outer diameter of the sheath scheduled for use, we should puncture the PRA at the outset. We could perform coronary catheterization by a distal radial approach without major bleeding or adverse events, and there was no radial artery occlusion at the site of the anatomical snuffbox or the forearm. 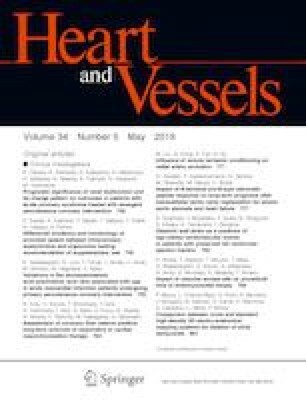 For coronary catheterization by a distal radial approach, we should evaluate whether there is sufficient vessel diameter using ultrasound before the procedure. In addition, this approach can be an effective option from the viewpoint of radial artery preservation.